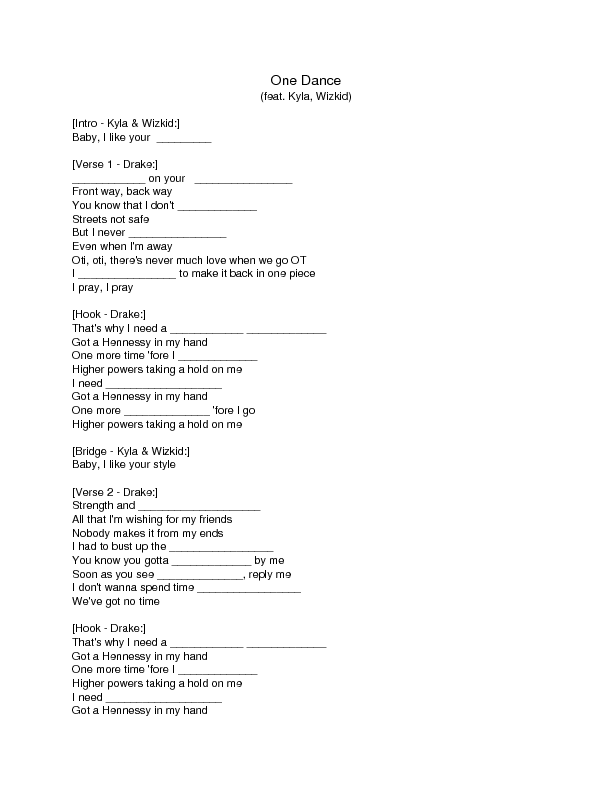 Motivate your teenage or young adult learners with this song worksheet based onthe popular song "One Dance" by Drake. 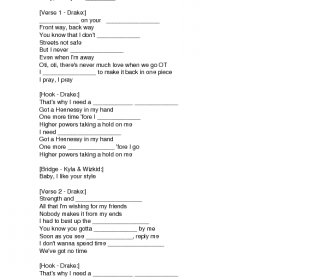 Your students are sure to enjoy the song as they listen and fill in the blanks with the words they hear. Includes an answer key and is suitable for older learners too.